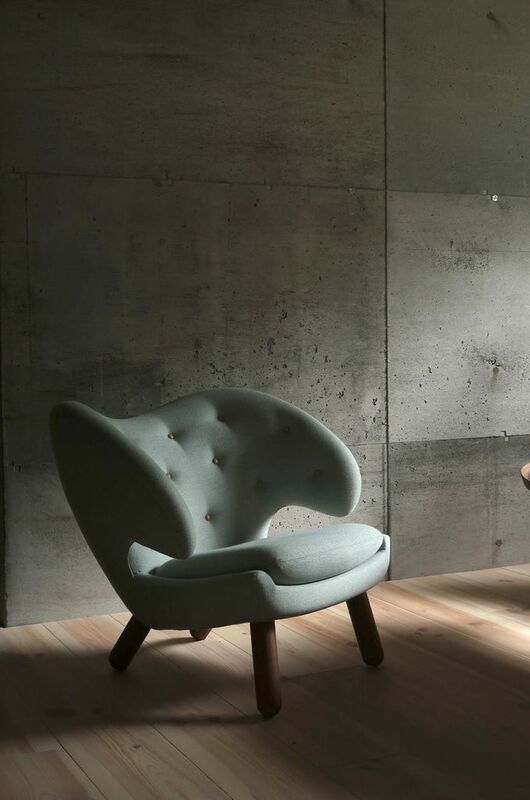 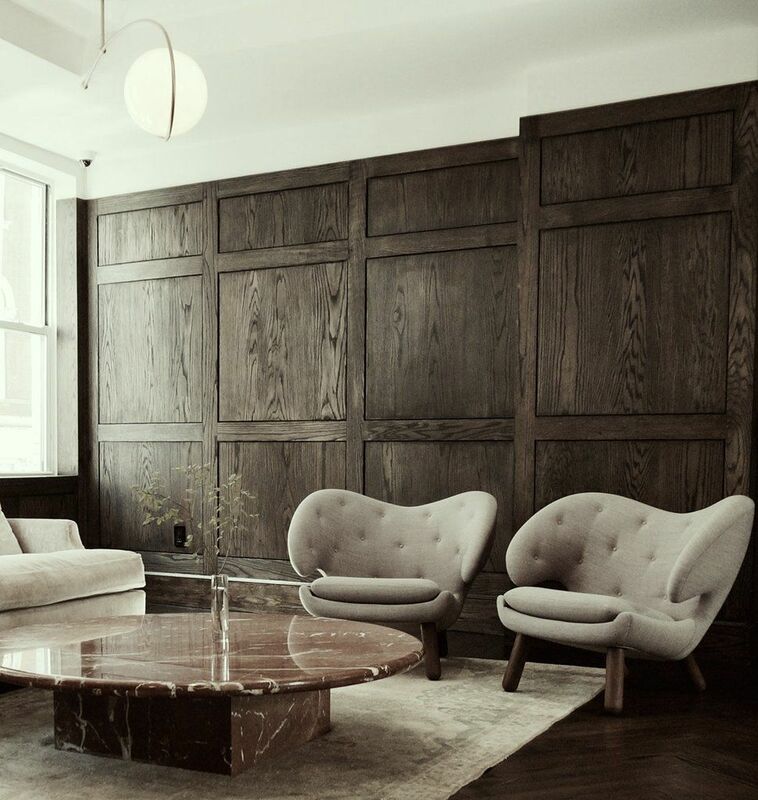 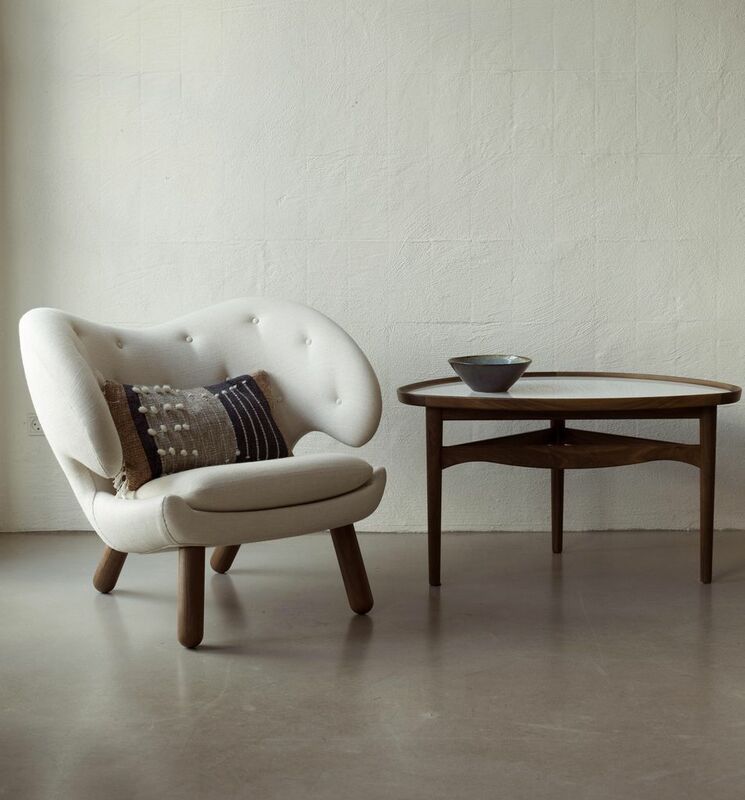 The sculptural chair fits seamlessly into most modern interior styles and works particularly well with the Pelican Table and its close relative, the Poet Sofa from 1941. 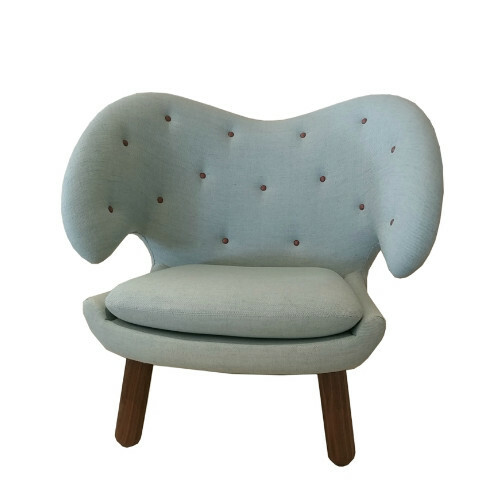 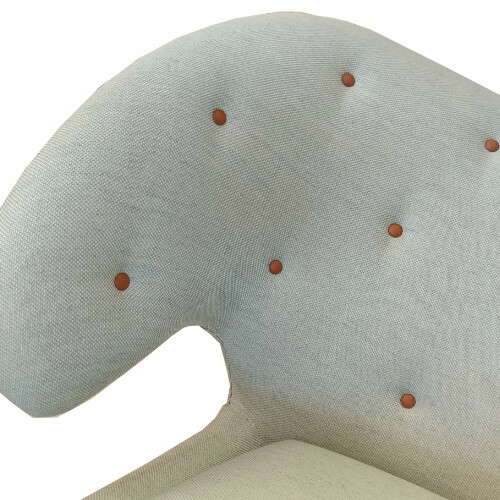 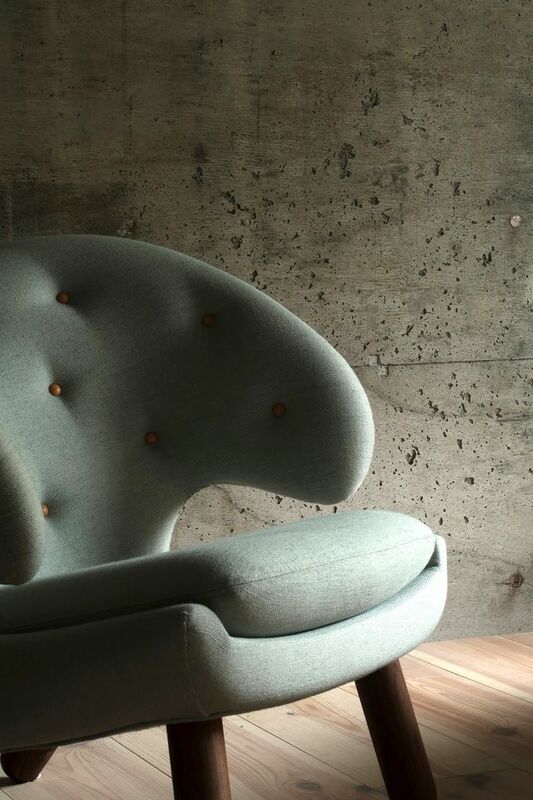 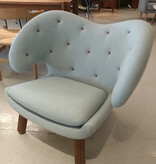 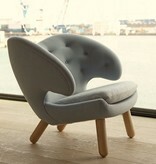 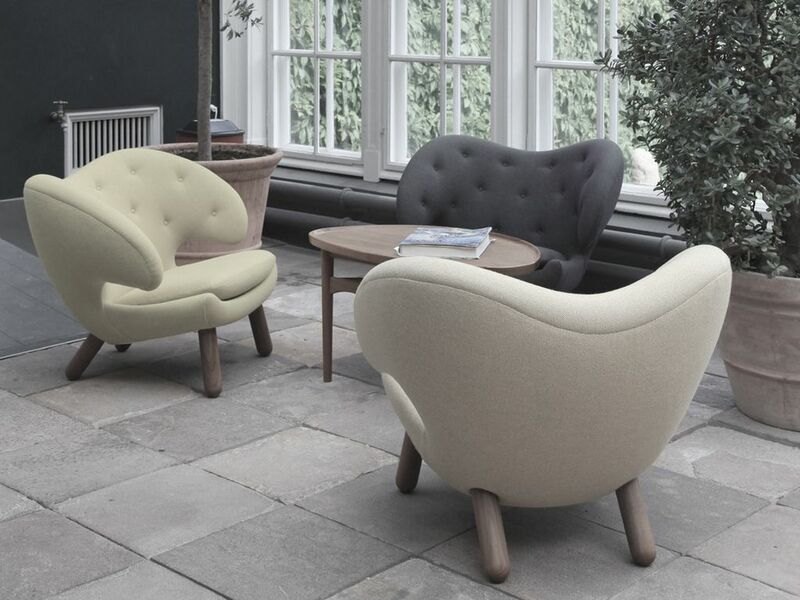 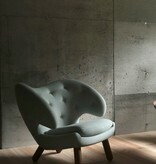 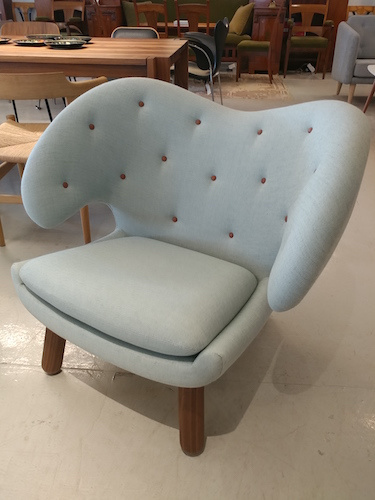 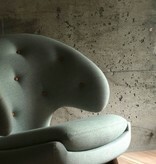 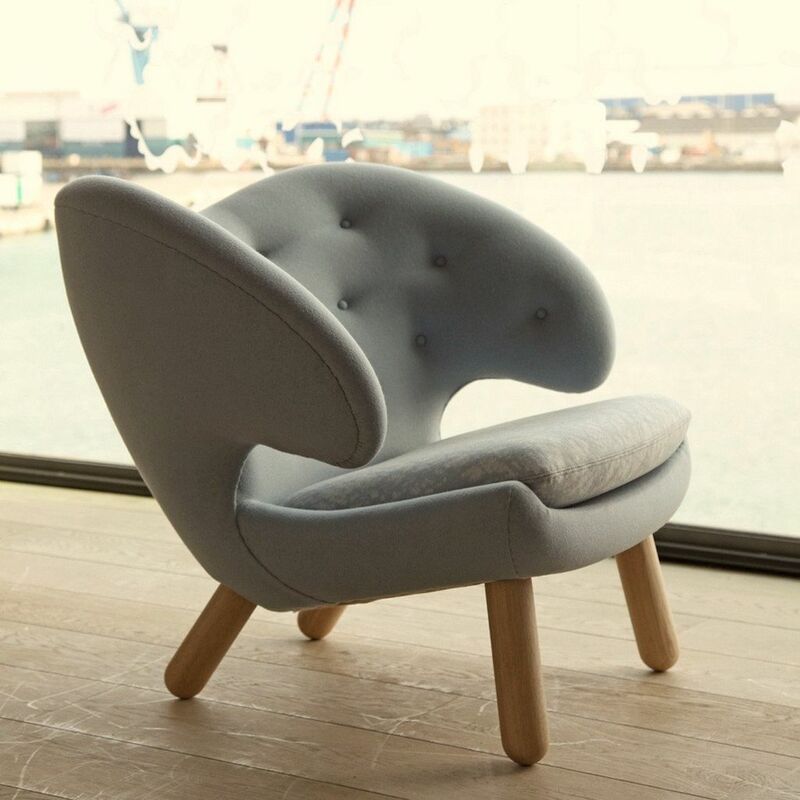 The Pelican Chair is produced in two versions - with or without buttons. It is manufactured with a cushion and a handsewn upholstery in fabric or leather. 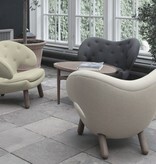 The legs are available in teak, oak, walnut and black painted.